On a warm October morning, six Opening Minds through Art (OMA) students painted while six members of Threshold Choir Miami University (TCMU) sang to them. 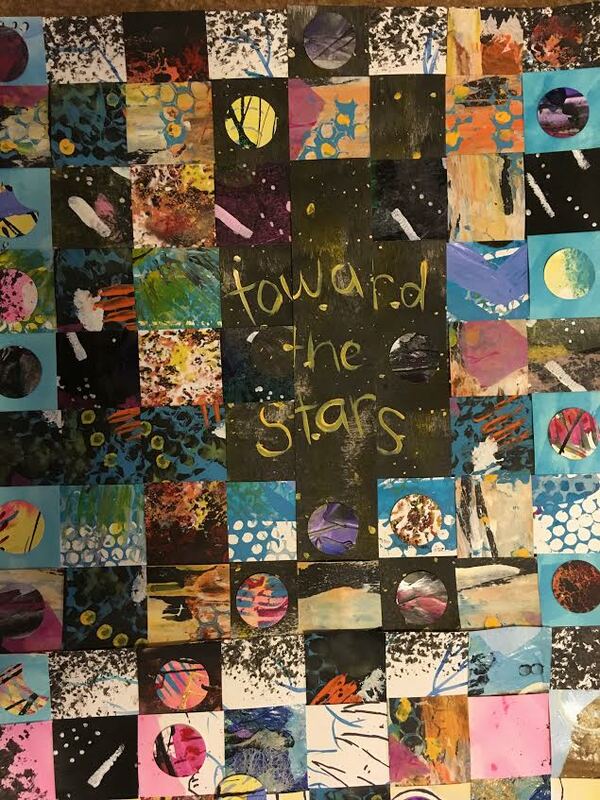 These two organizations came together to create a unique piece of art for Outside the Box, an art competition conducted by the Miami University Art Museum. Being creative and thinking “outside the box” is exactly what these students did. Composed of a cappella singers, TCMU members sing to people in Hospice. For Outside the Box, TCMU students inspired OMA students to reflect on life and death in a live singing session. The result is a stunning collaborative painting and video, capturing student’s experiences of being with those who have dementia or are in hospice care. Each of the 192 tiny boxes are uniquely woven together to show what these students have the privilege of witnessing through their work with OMA and TCMU: fear and pain, kindness and peace, and above all, love. This video highlights the Outside the Box experience. OMA/TCMU submission has been selected to be displayed at Miami University Art Museum from January 29-May 18, 2019. During this time, anyone can vote for their favorite piece in this exhibition. Prizes will be awarded to those with the most votes.